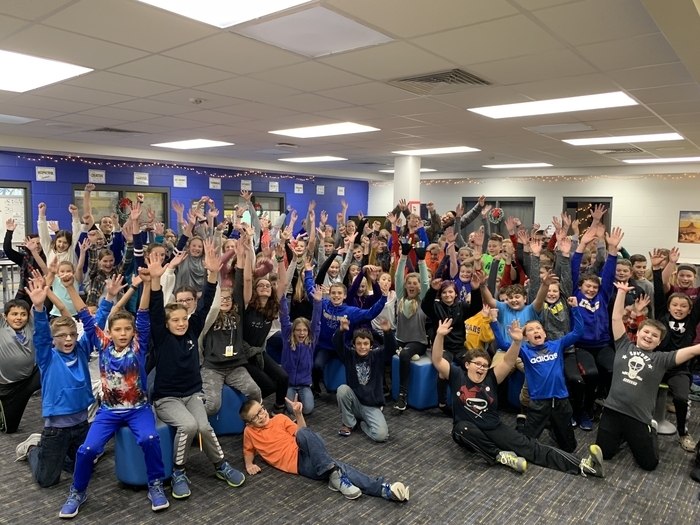 The Campbellsport School District would like to congratulate Mrs. Karen Raether on her retirement and thank her for the 26 years of service to the District and CHS. Congratulations to CHS Senior Kegan Bartell as he advances to the Individual State Bowling Championship March 1-3 in Green Bay. The 2nd and 3rd grade concert at Campbellsport Elementary for tonight, February 7th has also been cancelled. Once rescheduled, we will post the new date. The Campbellsport School District will be closed on Thursday, February 7th due to icy road conditions. The Campbellsport School District will be closed on Wednesday, January 30 due to the extreme cold. The Campbellsport School District will be closed tomorrow, Monday, January 28. The Campbellsport School District will be closed on Monday, January 27. The Campbellsport School District is closed for Wednesday, January 23. Tuesday, January 22: All after school activities are canceled for the Campbellsport School District. The Campbellsport School District is humbled and greatly appreciative of the community support that was shown last night at the Dylan Wiedmeyer Fundraiser. What better way to warm up from the CHILLY temperatures than by a bowl of homemade CHILI?!? 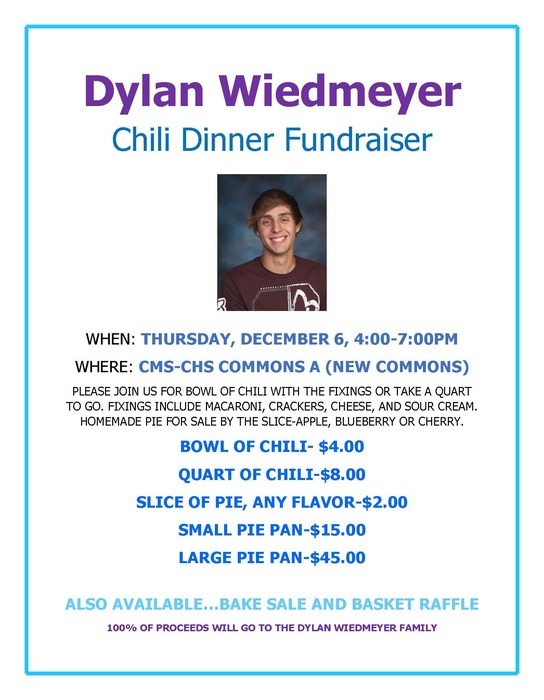 Please join us this Thursday for the Dylan Wiedmeyer Chili Fundraiser where bowls of homemade chili will be available for $4.00 and include all the fixings. If you can't stay, drop by and pick up a quart or two of chili to go for $8.00/quart. Remember that the fundraiser begins at 4:00 in the CMS-HS Gym A Commons and all proceeds will be donated to the Wiedmeyer family. 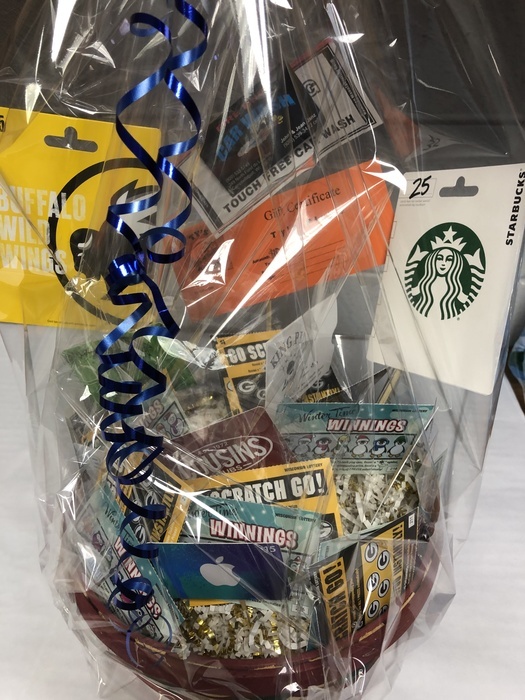 Thank you to all who have contributed to the Dylan Wiedmeyer Chili Fundraiser so far...take a look at some of the donated baskets: Bucks tickets, a Bluedoor Coffee Basket, two Relaxation Themed Baskets, and some premium women and men's perfume and cologne. This is just a SMALL sampling of what will be available this Thursday, 12/6. 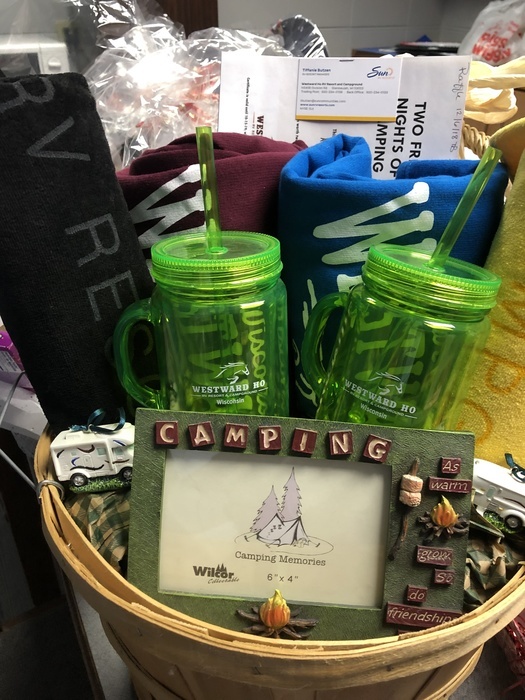 If you are planning on donating a basket or small gift, please feel free to drop off in the Campbellsport Middle-High School Office during regular school hours. What we really need is to pack the house Thursday to show support for Dylan and his family. Please see the flyer for more information. 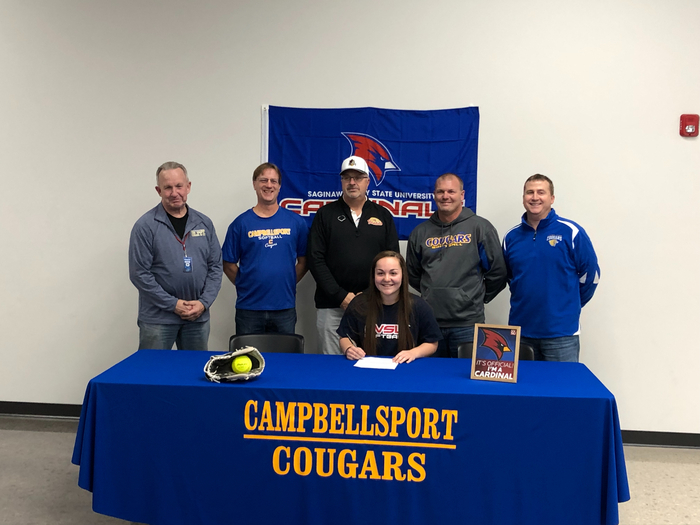 CHS Senior Alyssa Muench signed her national letter of intent to play softball at Saginaw Valley State University. We are extremely proud of her accomplishments. 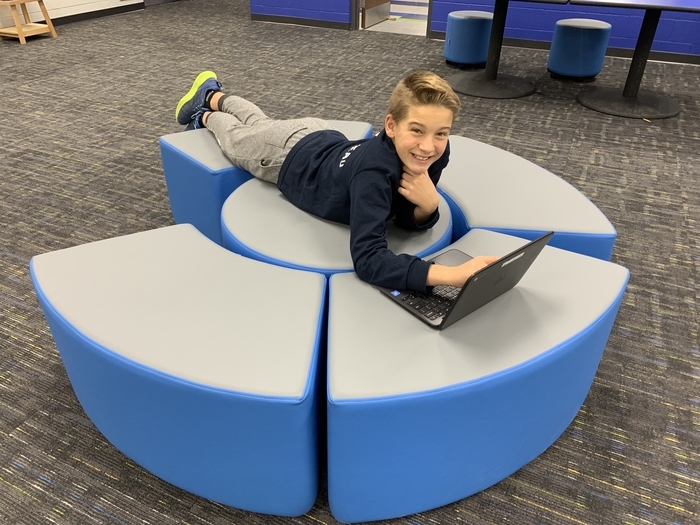 Our 6th grade students and teachers were excited and thankful to see the last of the 6th grade pod furniture arrive this week! Community Service: Sophomores-Seniors: Just a friendly reminder to turn in your community service hours from the summer to your ELT teacher. Please make sure you get them signed by the person supervising your service. All summer hours are due by September 15th. Please be sure to get them in on time. Freshman can start working on them in September. 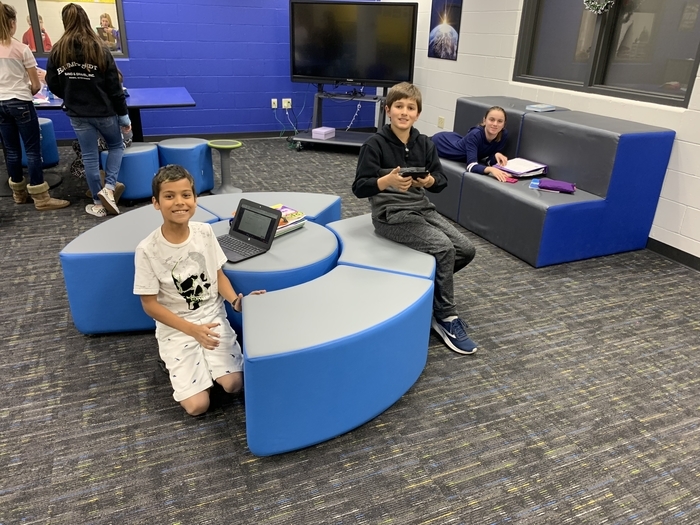 Questions can be directed to Ms. Rockelman. 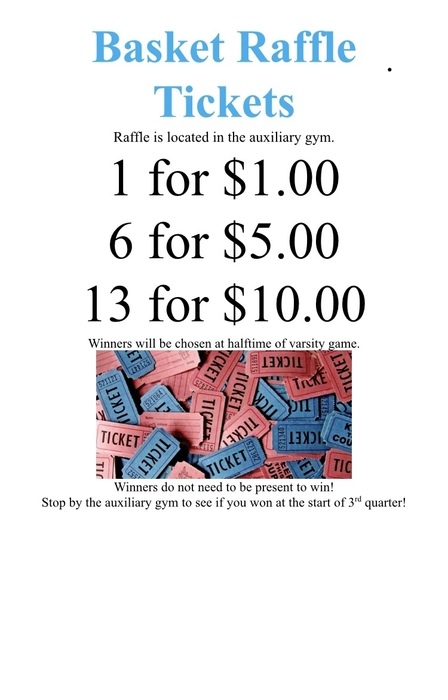 Forms will be available outside room 54 and in the Media Center.